At nine years of age, Kabir Singh Makkar will be facing off against adult players, at a 50-Over cricket tournament next month. Kabir has played cricket for four years and trained at the U.K.-based Lord’s Cricket Ground, a world-renowned academy. He dreams one day of competing professionally. “I want to play for India’s [national] team,” Kabir said. He practises every day after school. While he plays with other kids his own age, he prefers the challenge of adult matches. “They try to hit you and stuff, they try to be physical,” said the four-foot, 66-pound batsman. “They are trying to aim at the body. He is excited to play bigger games with adults, even though he admits sometimes he is scared of the leather ball because it moves quickly. The British Columbia Mainland Cricket League will be hosting the upcoming tournament, in which each team has 50 overs to bat. Forty teams from the Lower Mainland will compete; the Meraloma Cricket Club is entering three teams in different difficulty levels. Kabir will be playing on two teams, in separate divisions. Kabir’s father, Kanwaljit Singh Makkar is also his teammate. “I think that in his age group, he is amongst the first two or three guys,” Makkar said. Cricket is played by all ages in India. “It is like a religion. India is a vast country with so many languages, but the only thing that is binding and unifying is cricket,” Makkar said. The various tournaments that are being hosted this spring by BCML include T20 and a 50-over tournament. “One game can take from six to eight hours,” said Stuart Grills, an MCC player. “We have been very fortunate to have some more senior players that have some children of their own participate in growing the game,” said Grills, a team captain at MCC, one of the few clubs that offer children’s training programs. At the club, senior members teach the kids. “A lot of other clubs are made up of younger adults that don’t have that time or that connection to children,” Grills said. 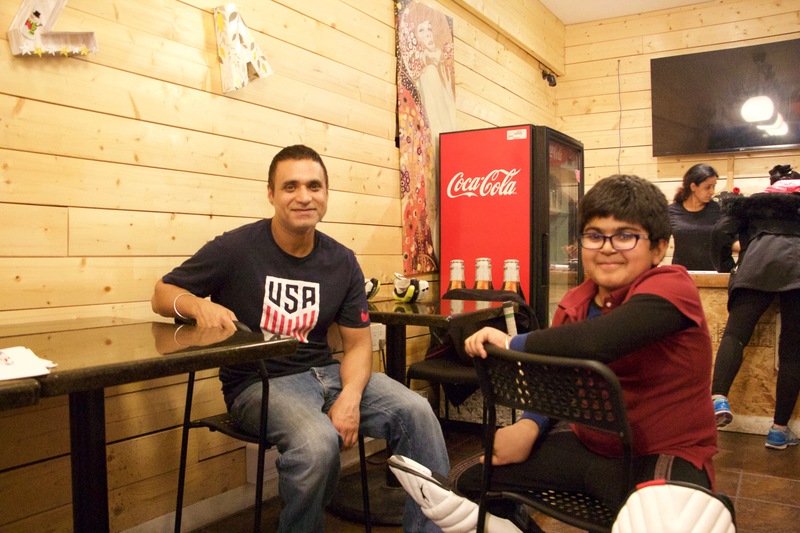 Cricket is a grassroots sport and, he added, the club is very inclusive, and is made up of Canadians, expats and a large South Asian community. The tournament will feature four teams from South Vancouver – MCC, Lankan Kings, West Coast Tamils and the Salak Cricket Club. Kabir says he wanted to play cricket because of his dad. Makkar himself has been a lifelong cricket player, and once dreamed of playing professionally. He believes Kabir may have the discipline to do what he couldn’t. “What I can’t achieve maybe he can achieve,” he said.